Everest Shubert begins shaping a piece of clay into an insect on Tuesday at Dancing Spirit Community Arts Center in Ignacio. He is one of dozens of children participating in free art classes this summer at the center. 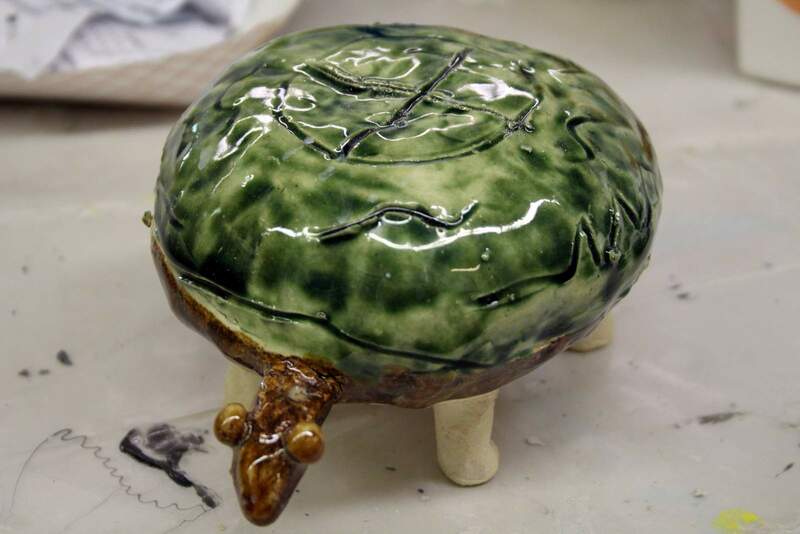 A clay turtle is displayed at Dancing Spirit Community Arts Center. Summer art students have created paintings in the twice-weekly classes, as well as pieces from clay and fused glass. 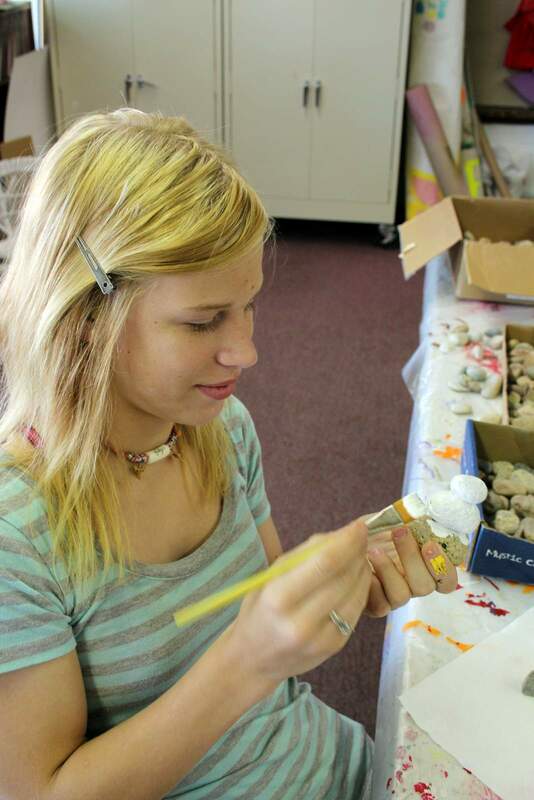 Haley Smith paints her rock-sculpture snowman Tuesday at the arts center. What might be a misshapen piece of clay to one viewer is a treasured piece of art to a family member. And what looks like a summer art class might be creative therapy for a child with special needs or family issues at home. So Dancing Spirit Community Arts Center offers free art classes to students of all ages this summer. Classes are every Tuesday and Thursday starting at 9:30, through Aug. 1. 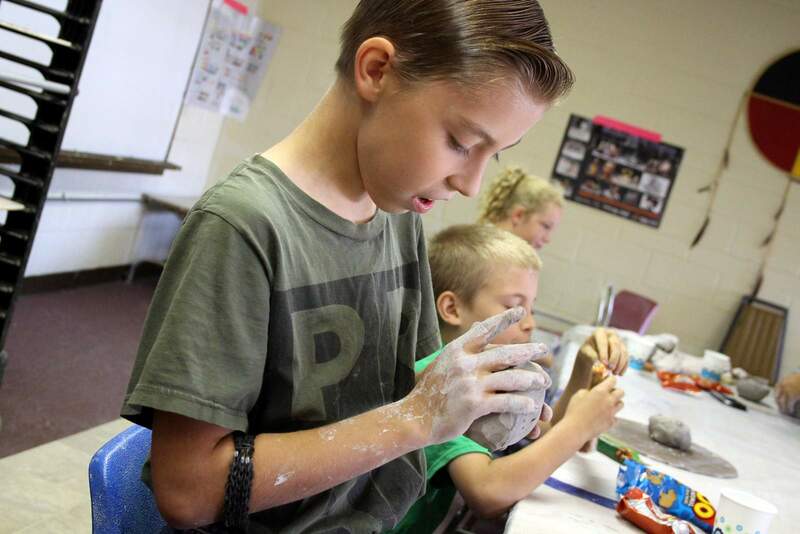 On Tuesday, six kids started the class in Ignacio, creating inuksuks, which are piles of rocks used by northern Native American tribes as markers for directions or hunting. By the end of the two sessions, the class had grown to 12 students. As many as 29 students have taken part in the classes on one day. The classes have been funded by an education grant from the LPEA Round Up Foundation, along with the money booth at Sky Ute Casino, and the Southern Ute Indian Tribe. In addition to the art classes, members of the Boys and Girls Club of the Southern Ute Indian Tribe come during the week for art classes. The public is invited to a family art morning from 10:30 a.m. to noon on Thursday, July 27, at Dancing Spirit Community Arts Center. 115 Ute Street in the Ignacio ELHI Center, 563-4600. The public is invited to a family art morning from 10:30 a.m. to noon July 27 at Dancing Spirit Community Arts Center, 115 Ute Street in the Ignacio ELHI Center, 563-4600.